Frontier Tank Lines supplies Crude Oil to all of our customers throughout Texas, New Mexico, & Oklahoma. With a large fleet of equipment and certified drivers at our disposal, backed by unparalleled service and safety standards, we are positioned for the long haul. And because our focus is on delivery, Frontier Tank Lines is an ideal partner to deliver on all your Crude Oil Needs. With our experience and expertise, we provide our customer with full confidence that each and every aspect of our Crude Oil delivery service follows all local, state, and federal guidelines & regulations. Frontier Tank Lines also provides Crude Oil as part of our Emergency Fuel Service that provides assistance when you need it most. In the even of a power outage, especially those caused by natural disasters, you can count on our commitment. Crude Oil is only one of the fuels we provide with our list of services, along with our Emergency Fuel Service, including: Fleet Fueling, Inventory Management, Tanks, Transportation, and 24Hr On Call Dispatch Teams. 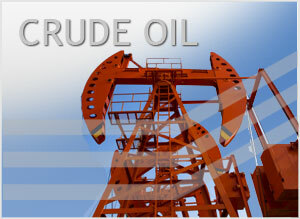 For more information on our crude oil services, call us today at (800) 291-7876.